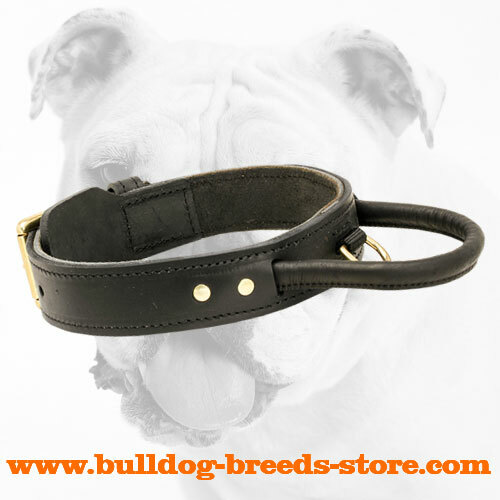 We would like to present to you this 2 Ply Leather Bulldog Collar. 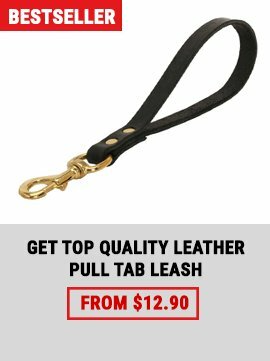 This item has been designed for active, energetic and powerful dogs. 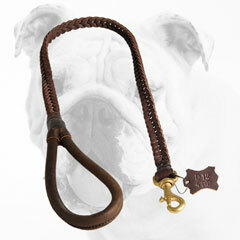 In addition, you will be able to control your pet easily because the collar is equipped with a durable handle. 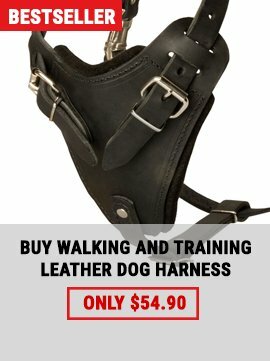 If you prefer to walk your Bulldog on a leash, it will be very easy for you to do so since there is a D-ring under the handle for the leash attachment. 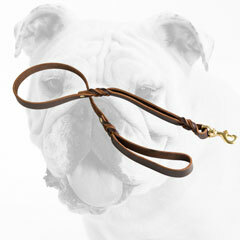 Order this Multifunctional Leather Bulldog Collar and you will see how practical this item is. 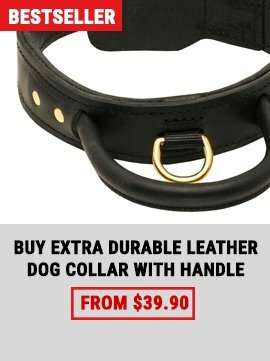 What is so special about this collar? It is easy to adjust. The collar is easy to adjust because it is made of strong and soft materials. Our manufacturers designed the collar in such a way so it could endure heavy training workloads. With this collar, you should not be afraid that it will tear. 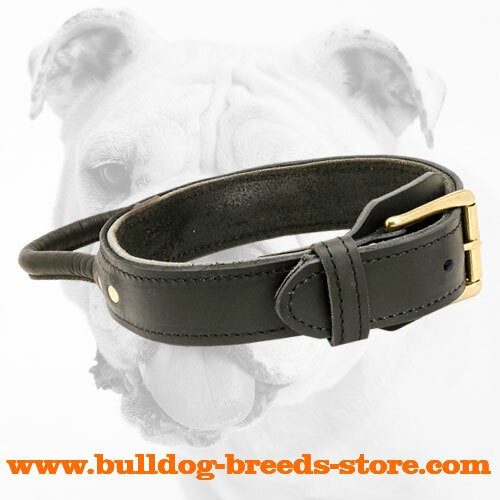 Train your Bulldog regularly and intensively and make your Bully a real champion! 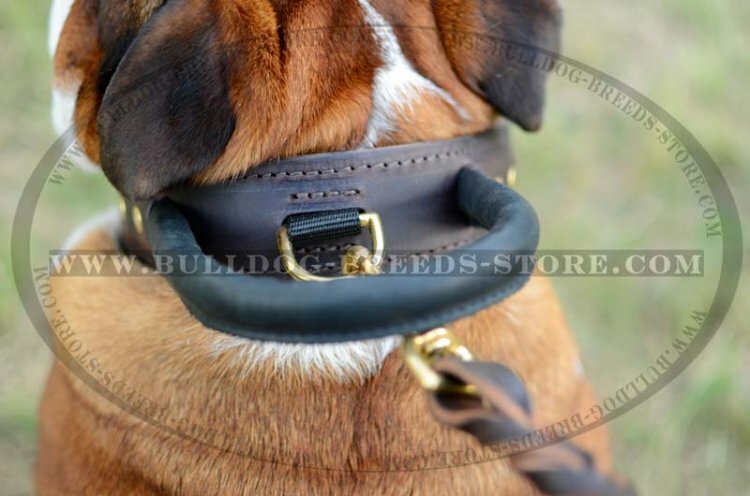 Brass Fittings Sometimes handlers buy a collar and do not pay attention to fittings. Moreover, they do not even suspect that at first sight beautiful gold-like fittings may cover with rust and harm your dog. 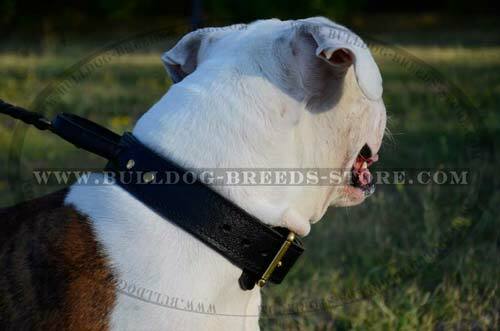 This collar is equipped with brass fittings that are strong and corrosion resistant. There is one more special feature about the collar. It has a fur protection plate. It will protect your Bully's fur. This plate will be especially useful during different kinds of training. We have already mentioned some information about the handle before, but we would also like to point out that the handle is very comfortable for handlers since it does not scratch the palms and you will be able to grab the handle any time you need to keep your Bully under control.